Anthony Ani, a retired Director of Mobilisation at the National Youth Service Corps (NYSC), on Monday, gave reasons why the purported ‘Certificate of Exemption’ owned by Nigeria’s Minister of Finance, Kemi Adeosun, is not genuine and “wouldn’t have emanated from the NYSC”. 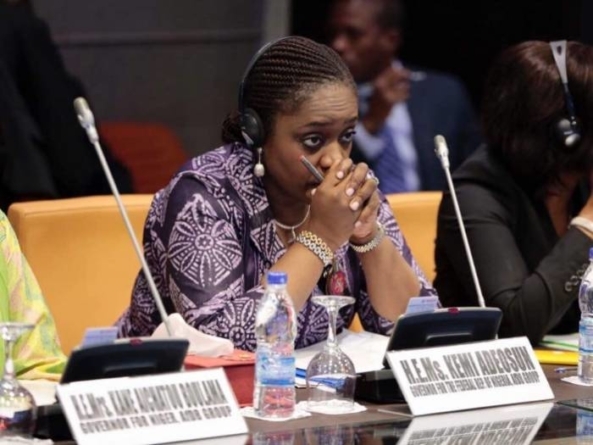 Adeosun, Nigeria’s minister of finance is currently embroiled in NYSC discharge certificate scandal which was uncovered last week by an Online publication. Mr. Ani, who appeared on Channels Television’s breakfast show, Sunrise Daily, said the certificate has footprints of a fake NYSC certificate. According to him, there was no way the NYSC would issue Certificate of Exemption to anyone who graduated before 30 years of age. He also faulted the supposed process of application for Certificate of Exemption that NYSC claimed Mrs. Adeosun did. Ani said applying for any certificate from NYSC is alien to the Corps, explaining that prospective corps members only present their credentials. “You don’t apply for either NYSC certificate or NYSC certificate of national service or certificate of exemption, you present yourself for mobilisation. The system will determine whether you are to be exempted or you are not to be exempted,” he explained. Mrs. Adeosun is yet to respond to the allegation almost one week after the news broke on various news platform.